It is quite a struggle making money online nowadays. There are different sites that enables you to make money by sharing links to social media but most of them have very tedious long processes until you get paid. 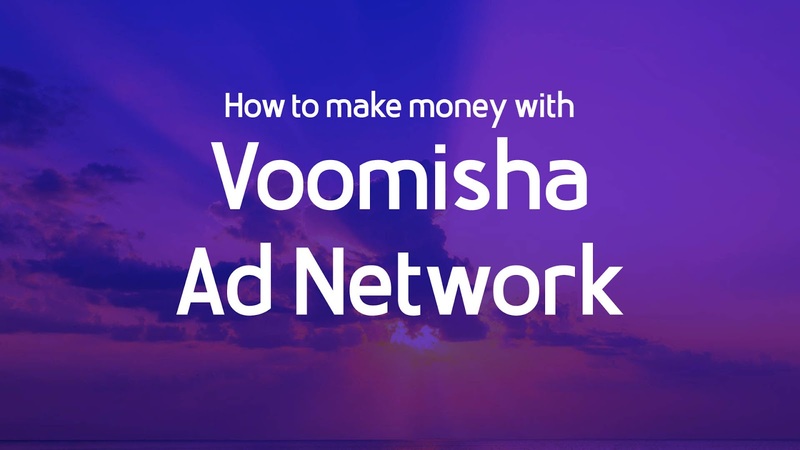 Unlike Voomisha ad network, this new ad network has a lot to offer and today we are going to see the five reasons why sign up with Voomisha ads and start to make money. Voomisha ad network has a very easy signup process. To get started you only need to have your phone. The signup process only as you to fill in your user name email address and password after that you will be redirected to a the click store where you can find sponsored links which you copy and share to your followers on social media. The click store contains sponsored links of different categories from events products services and other more. Also it provides a brief description of the lynx that you're sponsoring and this helps when you're trying to target a particular type of audience of your choosing in order to match with the link that you're trying to promote. The user design and user interface of this new ad network is very intuitive and easy-to-use. You can quickly access your earnings and see which type of thing that you have promoted performs better than the other ones and to focus on the ones that do better. The purple like theme is not only appealing to the eye but also feels more like a professional site. Compared to other ad networks out there, this ad network has no minimum payout that means you can withdraw your money as long as you earn it. Most ad networks have a particular minimum payout ranging from $1 to $100 but this ad network has considered its publishers and provided them with is to withdraw their money with no minimum limit. Once you have made your income on this ad network, the process of claiming your money is as easy as clicking a button. The money will be transferred to a mobile phone that you signed up with. You can claim your money at any time without waiting a particular date as most of the ad networks do.